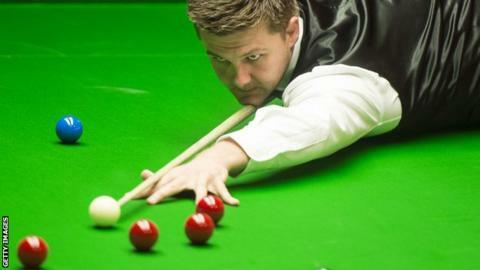 Ryan Day was left feeling frustrated following his second round defeat against world number eight Judd Trump. The Welshman, who knocked out Stephen Maguire 10-9 in the first round, went down 13-7 to the left-hander from Bristol. "There were lots of missed opportunities. I've missed probably three or four frame balls in the first two sessions," said Day. "That was probably the difference in the match." Day was never in front against Trump and trailed 6-2 by the end of the opening session. The world number 20 won the opening frame of the final session to cut Trump's lead to just three frames at 10-7. Trump cleared to restore his four-frame advantage. He then took the final two frames to set up a quarter final clash against world number one Neil Robertson. Dominic Dale is the only Welshman left in the competition now following his 13-4 win over Michael Wasley. Day meanwhile is left wondering what might have been. "I won the race to 50 points in a number of the frames that I lost so it was just a lack of concentration on frame ball," said Day. "Not looking at the scoreboard and knowing that any colour would have done - schoolboy errors really. "If I'd only cut out 50% and won two of the four frames that I should definitely have won, it's eight all and it's game on going into tonight. "I've played quite well the last ten days or so and I'm just looking forward to a couple of weeks off now."